Festivals are an excuse to unite with our family and friends to bring in the festivities. And over the past few days, Bollywood has proved the big, fat family that it is. The internet has been full of pictures with each looking more gorgeous than the other, attending one Diwali party after the other. Of course, we had a gala time sifting through the images. 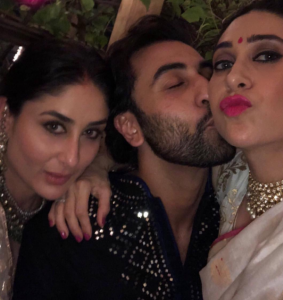 Now, on Bhai Dooj morning, we came across this one and couldn’t awwww at the image which is pure love, between the three Kapoor siblings – Kareena Kapoor Khan, Karisma Kapoor and their brother Ranbir Kapoor, who came together for the Diwali celebrations. 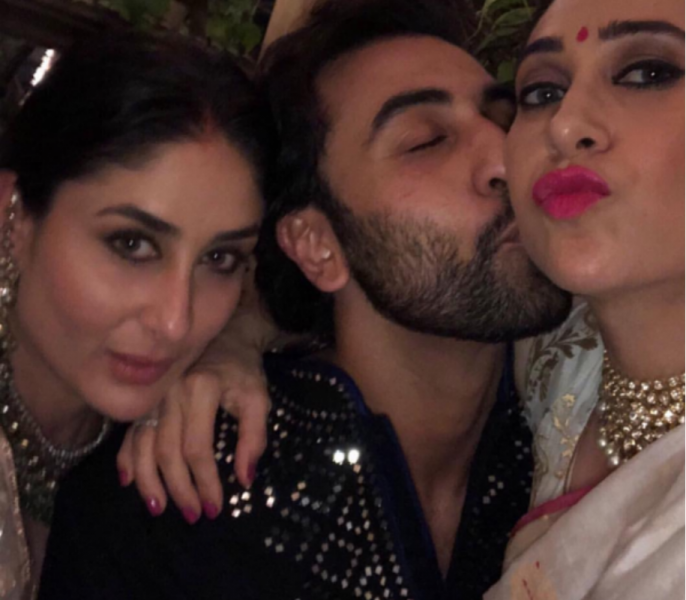 With Ranbir placing a peck on Karisma’s cheek as Kareena has her pose face on, the picture says a thousand words. It is evident no matter how grown up and successful they are, no love is lost among the B-town star kids. 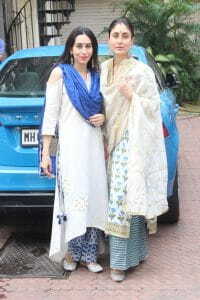 On the other hand, Bebo also spent some quality time with Lolo on chhoti Diwali, posing for pictures together while going out to meet their mother, Babita, in the afternoon. So much gorgeousness in one frame!